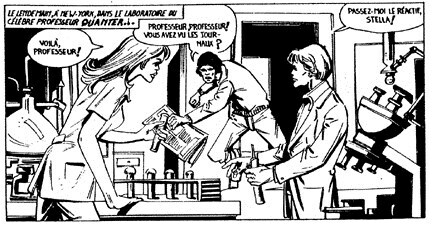 Stella Hawkins and Alex Davison were once the assistants of Professor Quanter. They were later recruited by Aster to move to Zhud, in the negative universe, and help repopulate the planet. 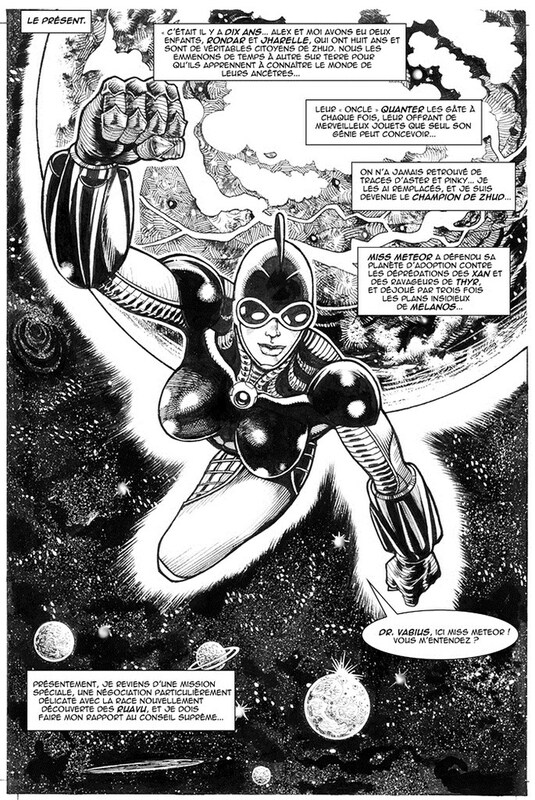 Stella was later struck by a mysterious energy meteor (which in reality consisted of the energies of Homicron and the Dragorek) and became a superhero under the name of Miss Meteor. After Aster's disappearance, she married Alex became the new Champion of Zhud, and later fought alongside the Hexagon Group and Gun Gallon. Recently, she and the Zorr-Ko fred Aster from the clutches of Melanos, and she relinquished Homicron's power back to Rita Tower. Later, he fought alongside Aster, Homicron and Professor Quanter to save Zhud from the clutches of the Hemocrats. Alex died during the battle.